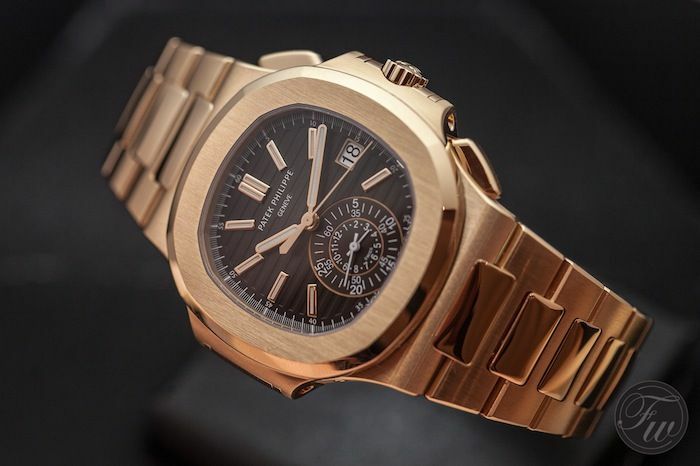 Patek Philippe surprised us this year with an all gold Nautilus Chronograph reference 5980/1R and gold/steel combination of the watch as well (reference 5980/1AR). 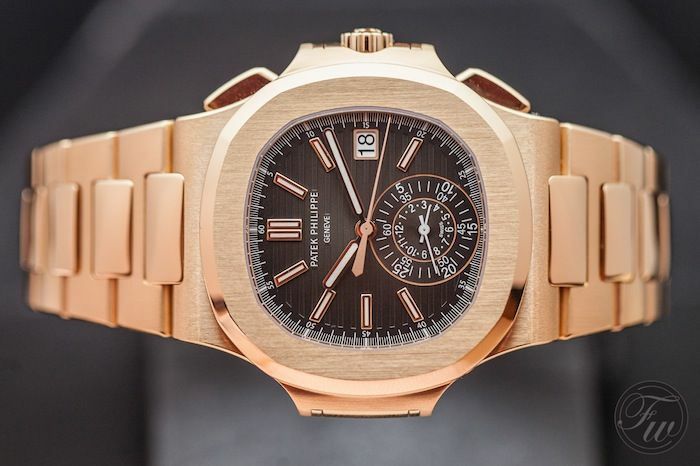 Although we feel that a Nautilus should be in stainless steel (unless you are Scott Disick), we actually could appreciate these gold versions of the iconic Genta timepiece. 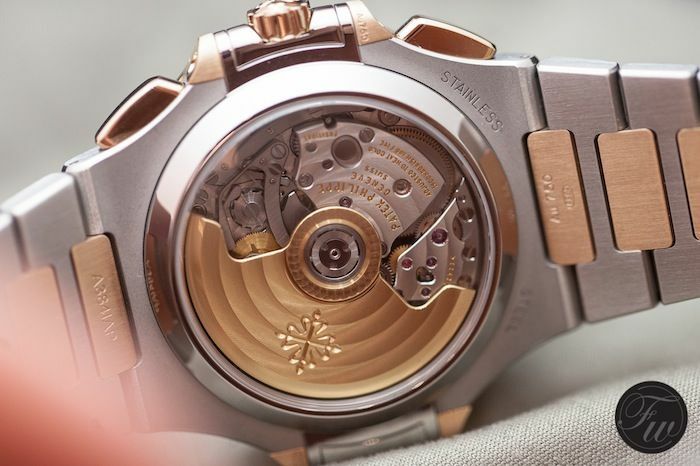 Technically speaking, nothing changed compared to the stainless steel Nautilus 5980/1A model. Both have the automatic winding PP caliber 28-520 C movement with chronograph function with the hour and minute recorder in one sub counter. The central seconds hand is the chronograph hand. Things like the level of water resistance or the case diameter also remained the same. It is purely the used materials that changed. And what a change! 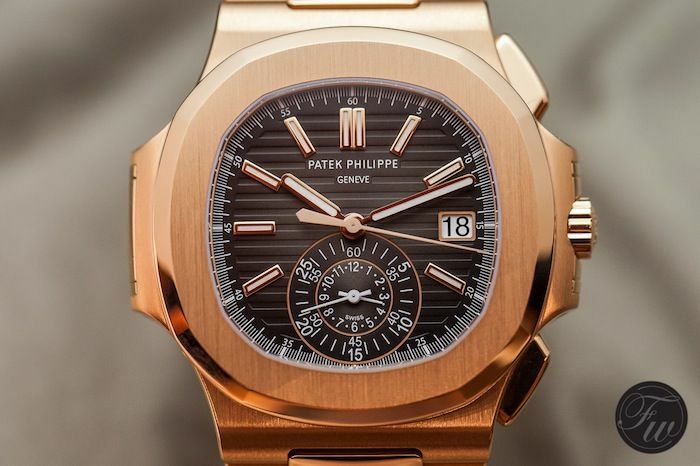 Just like all the other Nautilus models by Patek Philippe (did you read our post on the 3700/1A or 5711/1A already? or what to think of our Gerald Genta BBQ where we had several of them? ), the level of finish is just amazing. The very subtle satin brushed pieces like the top of the bezel combines perfectly with the polished parts (side of the bezel, center links, facets on the lugs) and just plays with the light. With gold, this is perhaps even more the case. 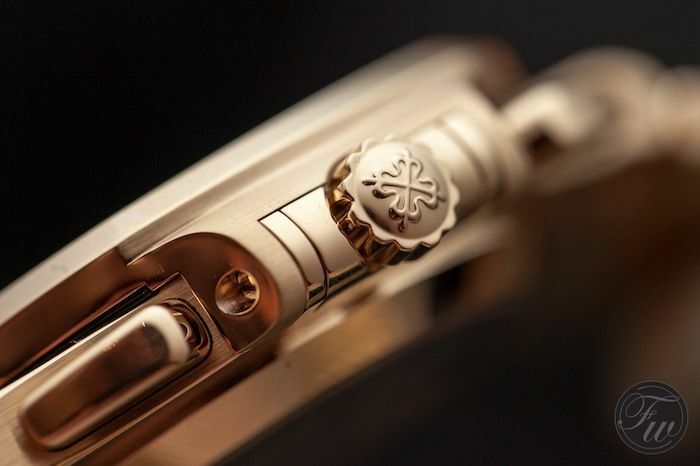 The high number of brushed parts and subtle polished edges and parts make it a watch that has so many details to enjoy. It is actually a very difficult watch to capture on film (or in JPG of course) compared to the real life experience of the Nautilus. If you haven’t seen one in the flesh, make sure to visit a watch dealer who has them in stock in order to see what we are talking about. 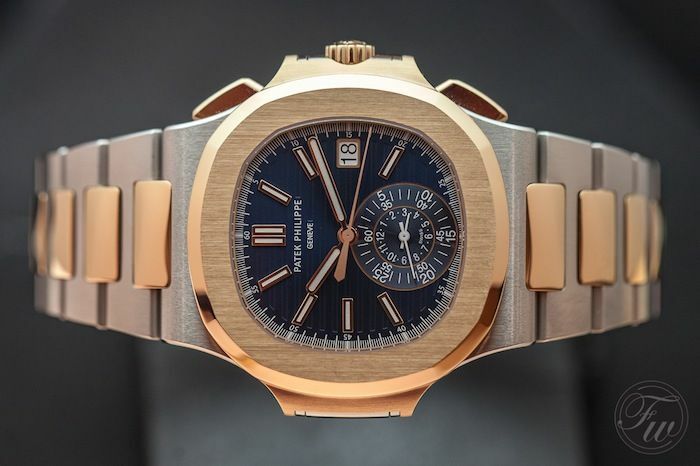 Our photographer Bert Buijsrogge did a nice job during our appointment with Patek Philippe in Basel to capture the new Nautilus Chronograph watches in the best possible way. Another surprise was the gold/steel Nautilus Chronograph reference 5980/1AR that was shown to us during our meeting with Patek Philippe. 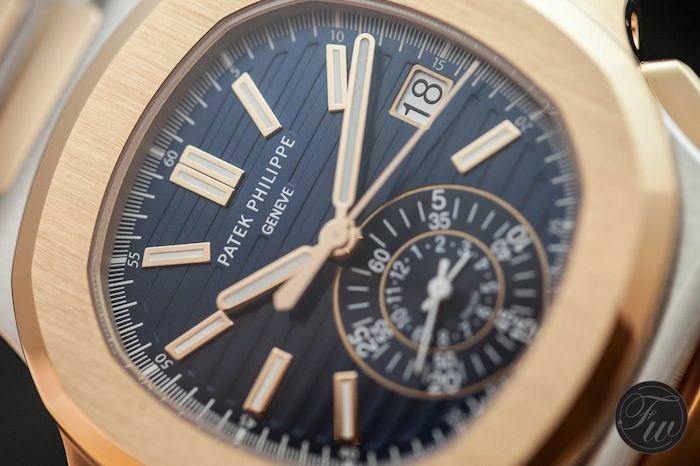 Although we’re not a big fan of this combination in most cases, this Patek definitely falls into the exceptions category. 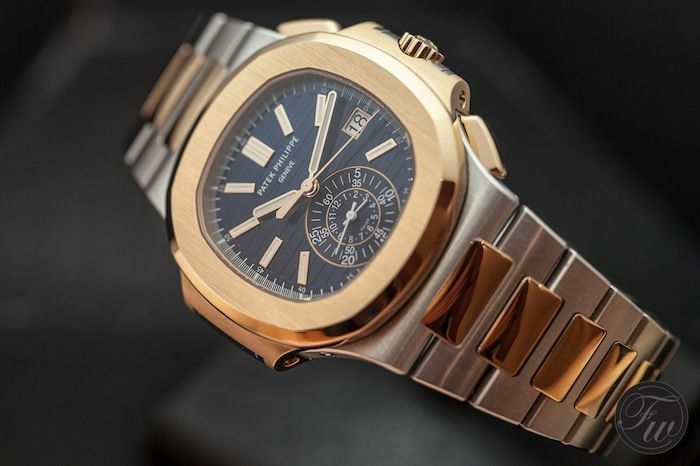 Like a beautiful lady that can just wear anything and still looks wonderful, this Patek Philippe Nautilus seems to be able to be stunning in any material. 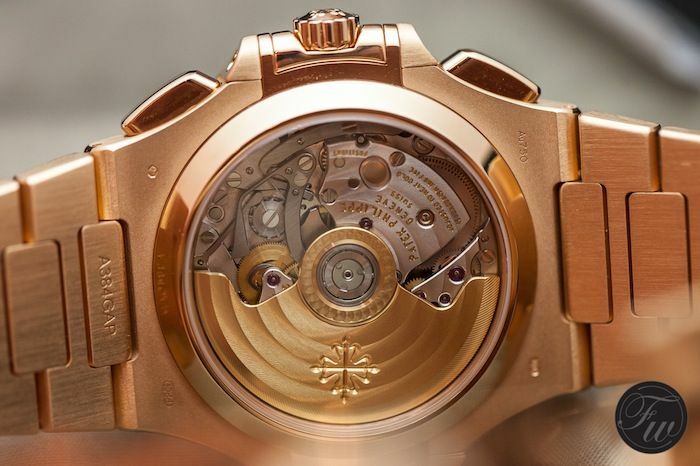 Of course, like we wrote before in this article, you should really see it in the flesh before judging this timepiece. With regards to specifications, it is equal to the other 5980 references. Only the weight is different to the all gold model and the all stainless steel model. Oh, and the price of course. This Nautilus Chrono 5980/1AR retails for 50.500 Euro. 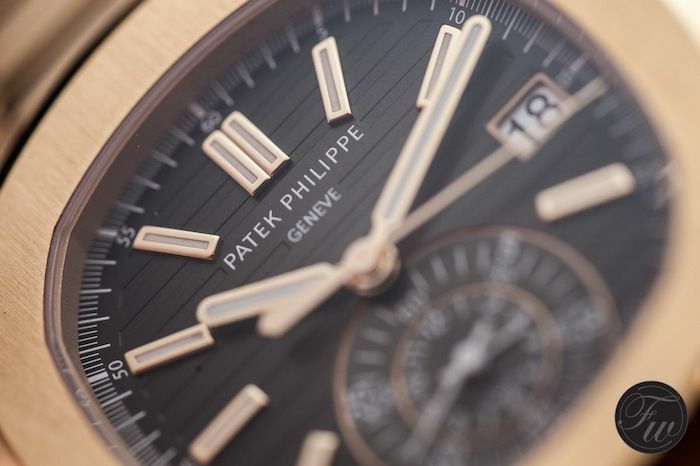 More information can be found on the official Patek Philippe website.